OH so much fun! LOve the embossed panel, Karren! I just bought this stencil, and had no idea how much potential it has...your background is so striking, and it looks like black 'Patent Leather'! 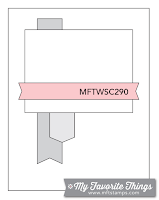 Beautiful Copic coloring on your images and fabulous take on the sketch! 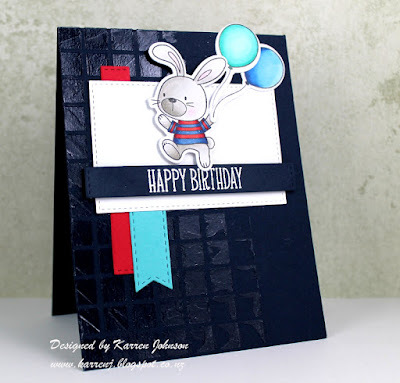 Such a fun card, Karren! Oh, that shiny stencilling is just great, Karren and makes a beautiful bg on the black!!! Love your cute as can be little bunny with his lovely balloons!!! Such a sweet card - LOVE it!!! WOW!!! seriously amazing card, karren!! love the translucent embossing paste and your perfect coloring!! Ooo, I love the black on black texture! 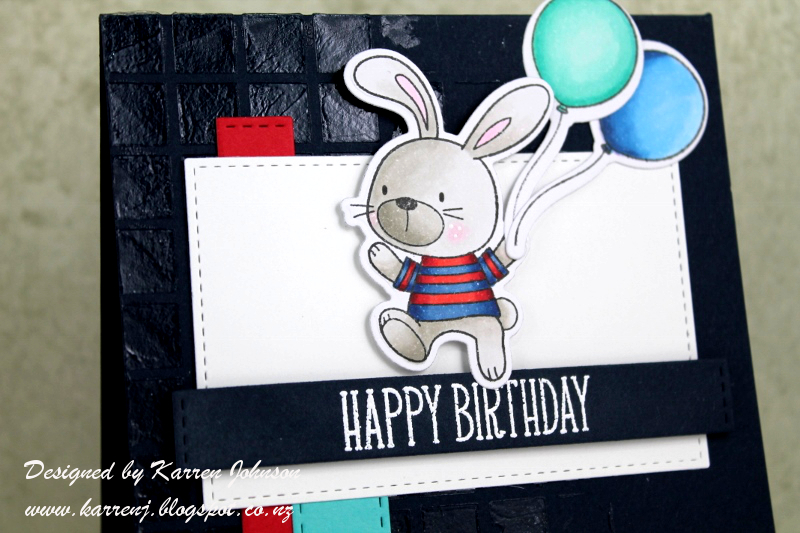 The bunny and balloons are colored so beautifully too. Thanks for joining us on the Simon Says Stamp Monday Challenge.